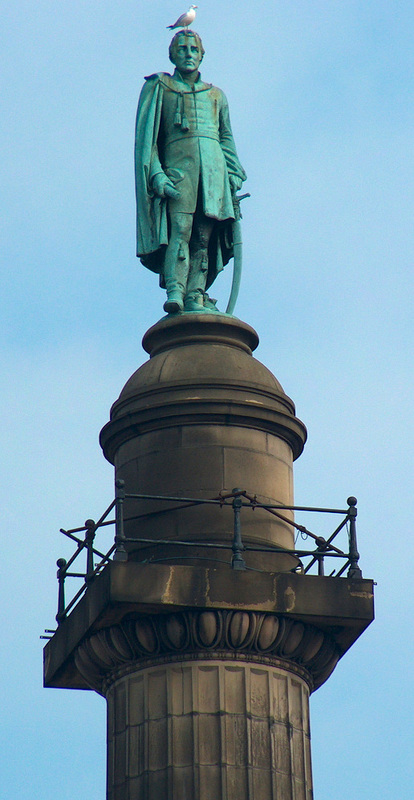 The 15ft (4.6m) statue of the "Iron Duke", which stands on top of a fluted Doric column, said to be 132ft (40.2m) high. It is made of bronze and weighs five tons four hundredweight, which is said to have been made from melted down guns savaged from the battlefield. It was handed over to the Mayer of Liverpool by Mr John Torr, a local MP and secretary of the Monument Committee. The inauguration took place in May 1863, the monument was finally completed in 1865 when the relief panel of the final battle of Waterloo by George Lawson was erected.